An underutilized swimming pool was once the focal point of my clients' home. They wanted to re-envision the large area with a scale-appropiate solution, that would afford the same visual focus the pool had once provided. 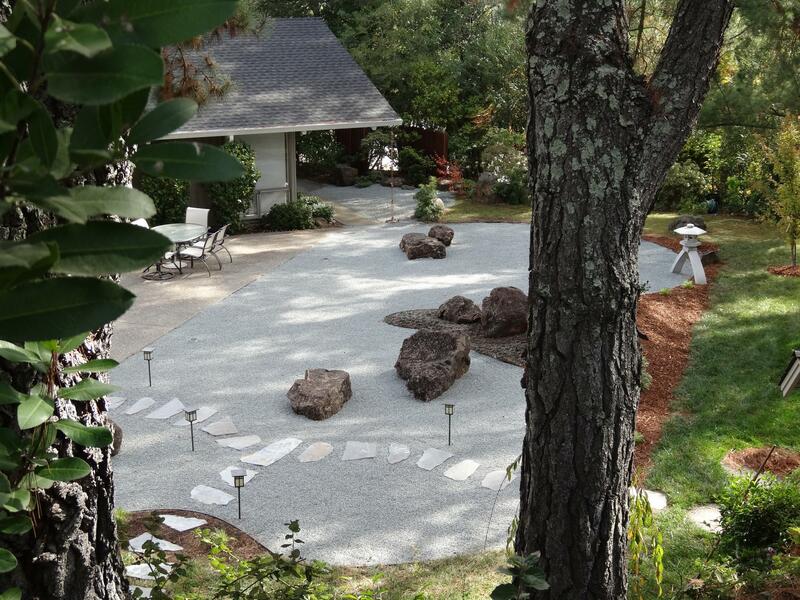 Using traditional Japanese aesthetics, we created an expansive Zen viewing garden with hand selected boulders and raked gravel lake. 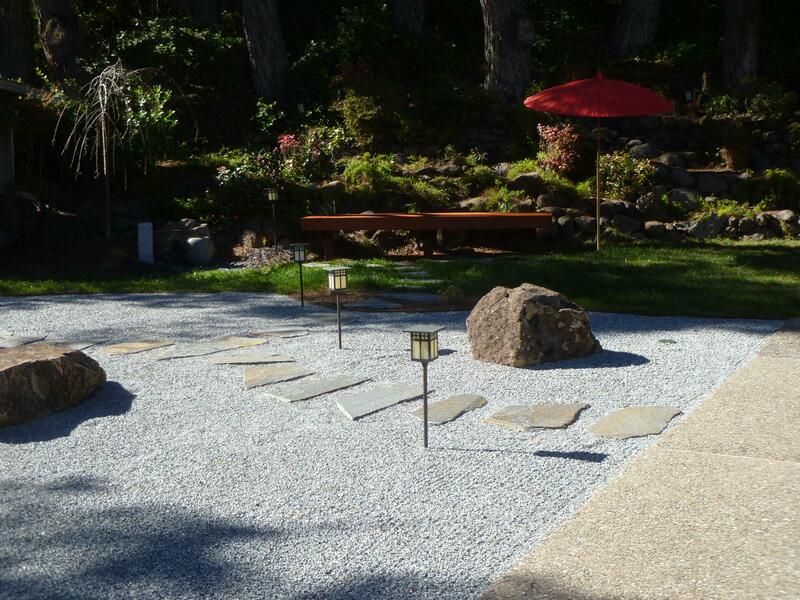 A cast concrete, Japanese stone lantern marries the land to the water in traditional fashion. Shaded by weeping cherry, the garden’s viewing bench sits next to a bubbling stone fountain – providing a peaceful, shady spot for contemplation.